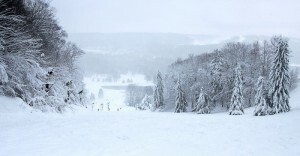 Harbor Springs, MI – Boyne Highlands Resort of Harbor Springs is open today for free skiing and snowboarding from 10 a.m. to 4:30 p.m. on the Heather slope, with the MacGully chairlift in operation. Free lift tickets can be picked up from the Main Lodge front desk or equipment rental located in the Day Lodge. Boyne Country Sports retail store and the Slopeside Lounge with food and refreshments are also open. Cooler temperatures this week allowed Boyne Highlands to take full advantage of its powerful snowmaking system led by the proprietary Boyne Low-E fan guns to create a blanket of snow and open the slopes, augmented by fresh natural snow falling today. After today, the resort is closing midweek to allow for continued snowmaking and plans to reopen on Friday, Nov. 21, with expanded terrain. 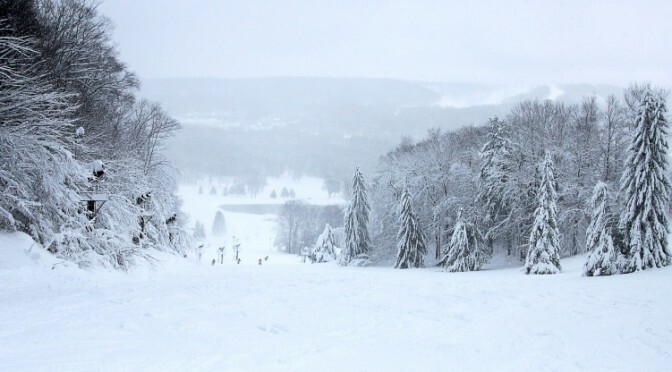 For the 2014-15 season, Boyne Highlands has undergone facility renovations including two remodeled pools and is expanding lift hours on the Interconnect and North Face chairlifts, adding lanes to the Tubing Park and features to the Burton Riglet Park. Also new are snowshoeing expeditions, a new menu of culinary delights and beer and wine events, additional lighting on the NASTAR course, and added equipment rental.